Tour Warren's Backyard while enjoying all the tasty bites of caterers, cakes, and pastries. Listen to amazing DJ’s and musicians, check out the photographers, videographers, and drone operators. Beautiful decor ideas and flowers for the perfect touch. Don’t miss this event! 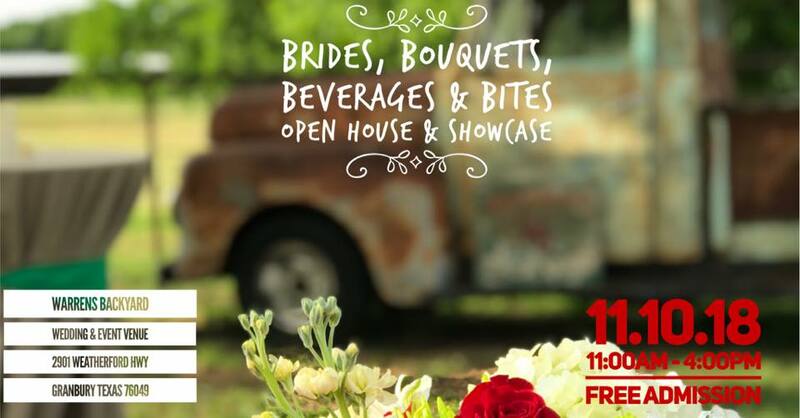 It’s free so come and spend the day with us and leave ready to plan your perfect wedding or event!